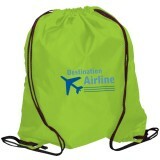 Custom polyester/nylon drawstring bags are one of the most ordered promotional drawstring bags at Drawstringbagsonline.com due to their excellent outdoor properties that are mildew resistant and UV resistant. 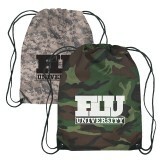 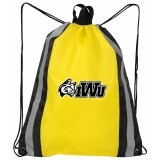 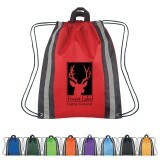 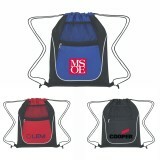 Polyester/nylon drawstring backpacks are wrinkle resistant, durable, lightweight and affordable for everyone. 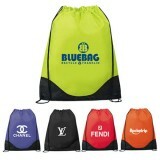 Be sure to add your logo, slogan and other brand details over these nylon/polyester bags before distribution. 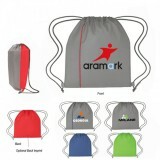 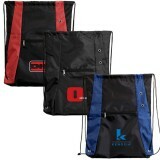 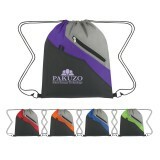 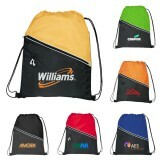 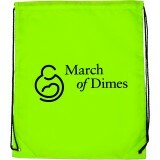 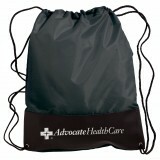 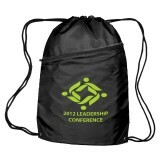 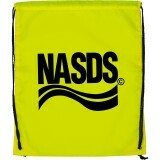 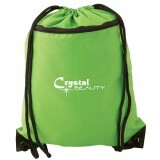 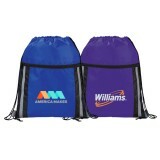 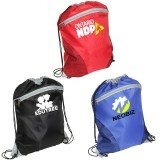 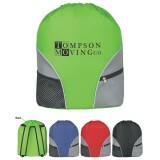 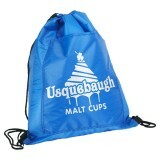 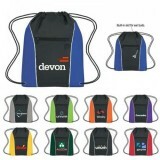 You can avail free shipping benefits on most printed orders of these budget friendly personalized polyester/nylon bags. 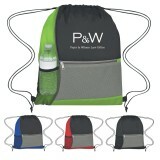 Avail 110% lowest price match guarantee offered on all items. 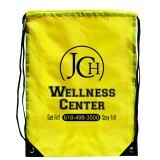 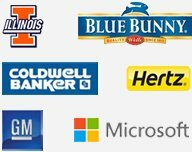 We offer 100% customer satisfaction guarantee on all our orders. 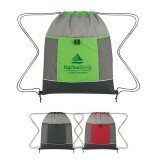 Most of us face those days where we need to in a certain place right away but don’t have time to pack up things. 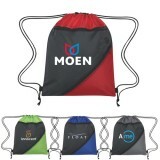 You can easily overcome such days in your campaign by distributing any of these customized polyester/nylon drawstring bags. 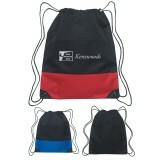 You can stay assured that these drawstring backpacks will not give up under pressure. 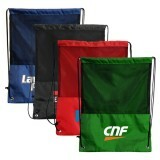 They will remain in good condition for along time. 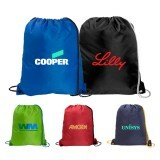 This means your brand information is going to receive a good face time over these drawstring backpacks. 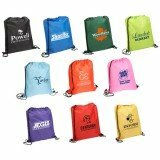 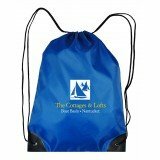 By investing in these budget-friendly drawstring bags,you are trying to make your brand logo acceptable to your customers as well as recognizing their participation in your business. 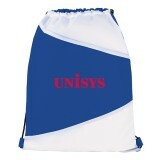 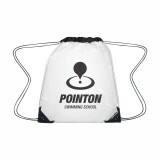 These custom polyester/nylon drawstring bags offer reliability and expediency through day and night. 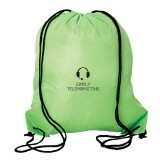 Promotional polyester nylon drawstring bags make great promotional gifts for your co-workers who will love to carry their essentials to gym, clients who need something to pack their project essentials in a durable backpack, vendors who require compact sized drawstring bags to carry their work essentials such that they don’t rack up much space in crowded bus and tradeshows or conventions where people are bored of carrying marketing stuff from your competitors in their hands. 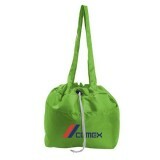 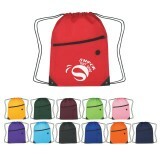 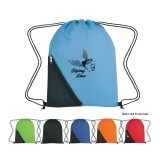 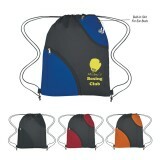 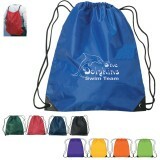 In short, these polyester drawstring backpacks are lightweight and they can pack many things. 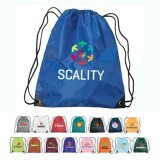 Needless to say, logo printed polyester/nylon backpacks will bring you easy acceptance from nine-to-fivers heading office, students, etc. 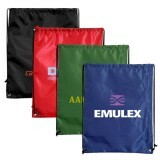 Another great advantage of investing in customized polyester is easy care. 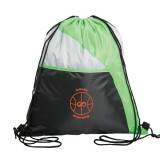 This means your recipients can easily care for their backpacks and reuse them for a long time. 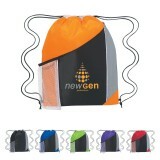 They can wash nylon/polyester cinch backpacks at home in their washing machines and dry them under the sun. 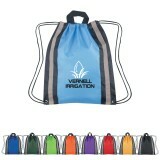 Avoid ironing these polyester/nylon drawstring bags because they can melt at high temperatures. 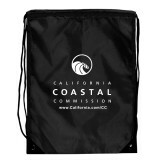 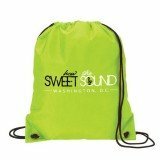 Customized polyester/nylon drawstring bags are low-cost and practical promotional items that will haul all those essentials to all those places where your brand logo need to visit. 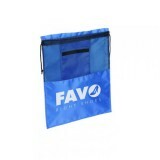 To know more about promotional benefits of polyester bags, recommended imprint options and more, feel free to contact us at 855-218-2247.